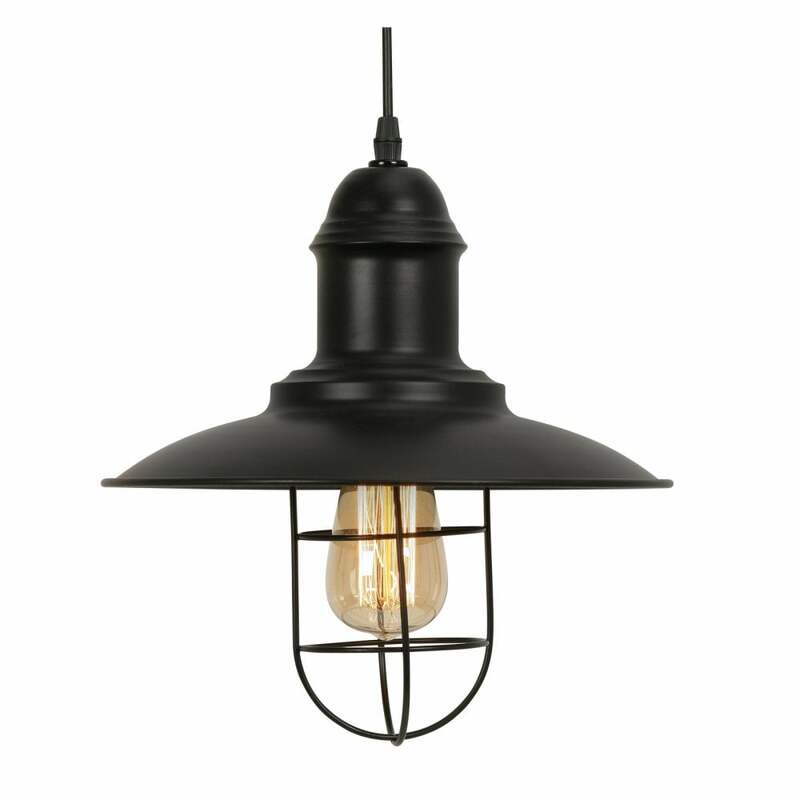 Oaks Lighting Kolding single light ceiling pendant features a classic lantern design in black finish with a wide brim shade and metal cage design. The product code is 4130 BG. This classic styled pendant has an industrial feel, perfect for both modern or traditional styled decors within your home and looks great hung in groups or individually over a dining table or kitchen island bringing an element of retro design to your interior space. A wide range of classic style pendant can be ordered on our website.